I am still trying to get over how amazing Saturday was . . . thank you so much to everyone who came out to celebrate the grand re-opening of our studio!! Oh!! And if you put tickets in the raffle prizes - stay tuned to Facebook later today! We will be doing a live video to draw the winners for all 9 prizes!! Ok - enough about us! Let's take a look at what'cha been workin' on, shall we?!? First up this week Laura did a quick and classy restyle on these chairs using Fusion Mineral Paint in 'Coal Black'. 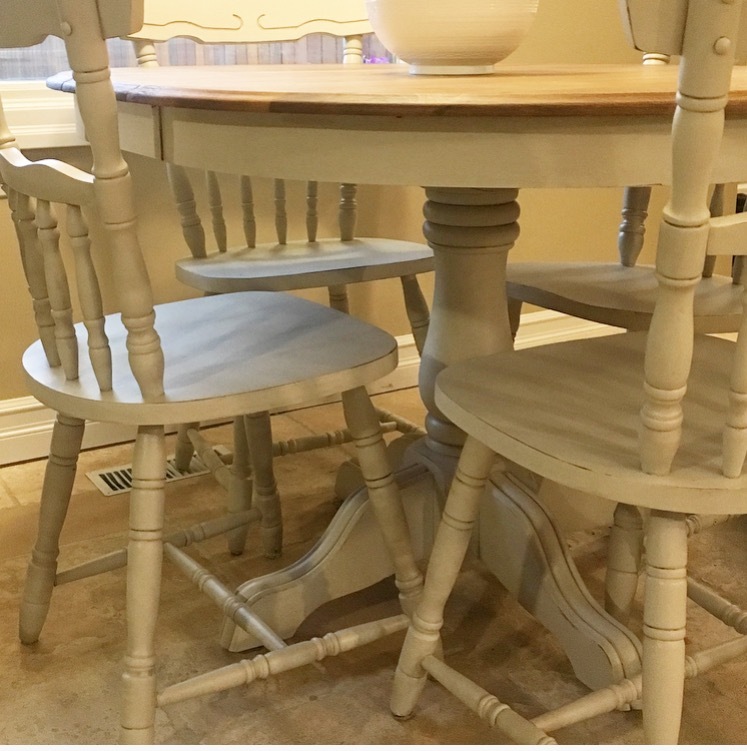 These chairs were the perfect project for Fusion - quick prep, paint and done! Because the seats were staying natural there is no need for additional protection - the paint is durable enough on its own! Next up to share this week - Leslie picked up these chairs from our studio 'as is' recently and promptly nick named them the 'cosby sweater chairs', lol! I can see why looking at the fabric on the 'before' chair on the left. Some vision, some white paint and some new fabric and these chairs look great (well at least one of them does, lol! I'm sure the other one will be done soon - if not already)! Next up this week - Sherisse came into our studio looking for a very specific colour to restyle her kitchen set and was happy to find 'Confidence' - a beautiful blue from our van Gogh paint line. 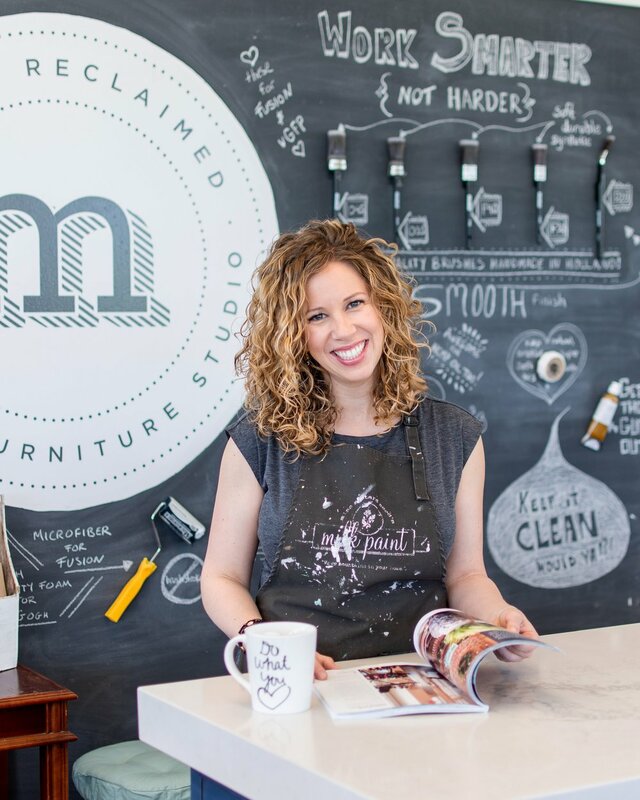 Can you believe this was her first ever furniture restyling project?!? Oh my goodness! I can't believe I almost forgot this one! Laura (who painted the chairs coal black above), also painted this gorgeous kitchen set! The table base and chairs were restyled using 'Cashmere' from our van Gogh paint line. The table top was finished with antique beeswax! This set now looks fantastic Laura - thanks for sharing, again, lol!